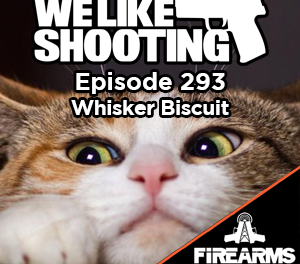 This episode we’ll talk about Hera Arms Magazines, White hat holsters, 300blk, Pelican cases, muzzle brakes, Peltor hearing protection, 5.56 caliber rifles and Scars. Chicks dig scars. Tonight we’ll tell one lie per introduction. See if you can tell what it is. Shawn: USPSA match – 9th overall, 2nd in division. Germaine from RMTL was there and did great! It was her second match. Shawn: Solid Concepts – New 3d printed 1911 from different metal. Homer Simpson — Lil: S&W .45 Long Colt, because he saw something like it on TV one time, and all the accessories the salesperson could tack on. Marge Simpson – Shawn: Thompson Sub machine gun that she took out of grandpa Simpsons room and keeps in her hair. Bart Simpson – Shawn: He uses a slingshot. He’s like 9 man. Want a free t-shirt? All you have to do is go to welikeshooting.com/shirt and ask us a question. If it is answered on the show, we will be sending you one of our stylish shirts. OMFG the shirts are done and will start shipping. Keep an eye out for an email requesting your address! We appreciate the feedback and Jeremy offered to give lessons on how to drink tea. If you like our show, please share it. You can share http://welikeshootingpodcast.com/itunes. On facebook, twitter, google plus, christiansingles.com, wherever. 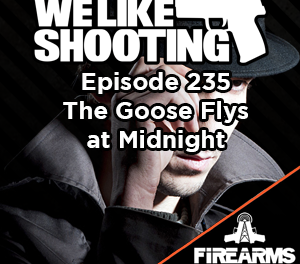 The post WLS 015 – Bond Girl: Horus Reticle appeared first on We Like Shooting Podcast.